Yunomi has provided me with Fukamushicha From Narama for the purposes of providing an honest review. Fukamushicha From Narama came to me in a pale green, resealable foil bag. I love how Yunomi’s product labels tell you everything you ever needed to know about their teas, and then some. From this label, I learned that this Japanese green tea was harvested in spring of 2018, from the Narama Village, located in Shizuoka, Japan. You can literally pin point the location of when and where this tea was harvested, which is just so neat. Fukamushicha From Narama is made up of fine, dark green leaves. There’s a very pleasant salty aroma from the leaves – it has a quality about it that reminds me a lot of seaweed, being by the water, just hanging out on the beach and breathing it all in. 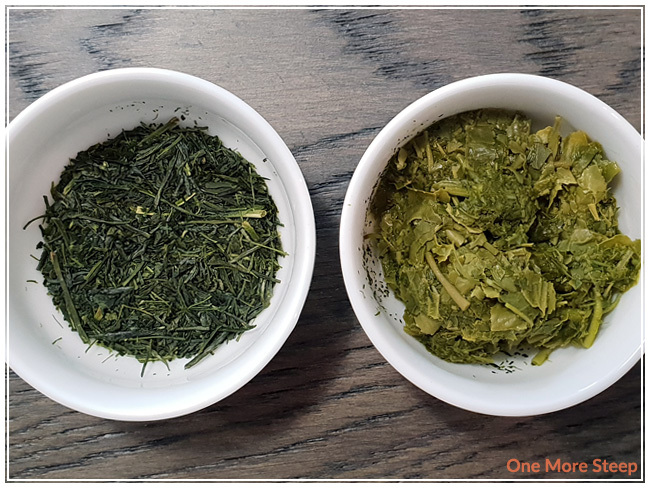 Fukamushicha From Narama consists of green tea. Yunomi recommends steeping Fukamushicha From Narama for 1 minute in 70°C (158°F). As usual, I use my trusty Breville IQ Kettle to heat up my water. However, the lowest my kettle goes is 175°F (79°C) so I heated my water to the lowest temperature setting and allowed it to cool with the lid open for about 5 minutes. 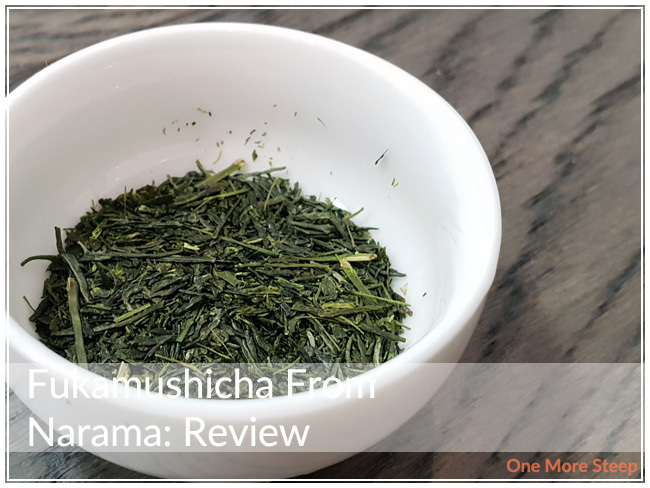 Fukamushicha From Narama steeps to a lovely light green colour. There’s a very light flavour to this tea, with some clear umami notes. There’s a mild amount of saltiness, which isn’t off-putting. It has an almost savoury quality to it, which is quite endearing. 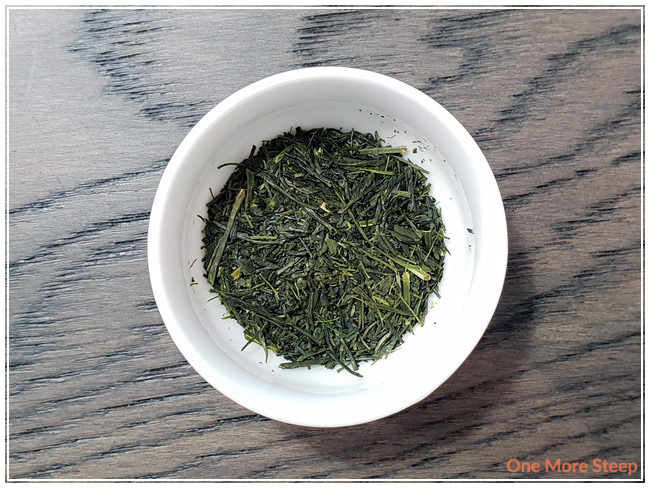 Fukamushicha From Narama is quite a smooth green tea with zero bitterness or astringency. 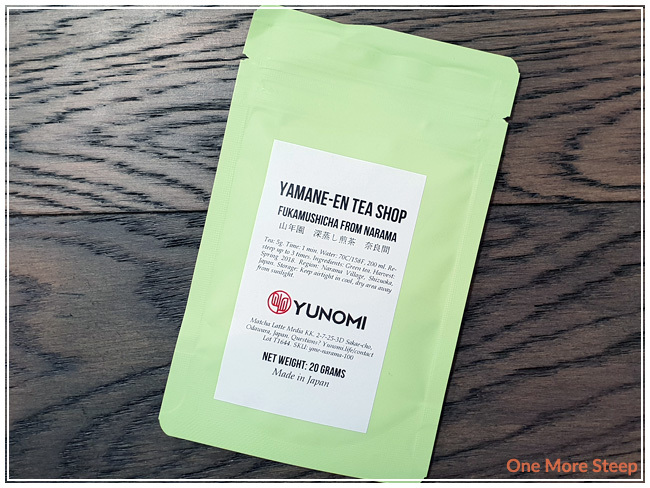 Yunomi suggests that this tea can be resteeped up to 3 times, so obviously I had to give that a go. I resteeped it four times, with an additional 30 seconds for each resteep. The flavour were the strongest in the initial steep and the first resteep, and I found that it started to get weaker after that. The fourth resteep was still tasty, but it just wasn’t nearly as intense as the previous steeps. I loved Yunomi’s Fukamushicha From Narama. 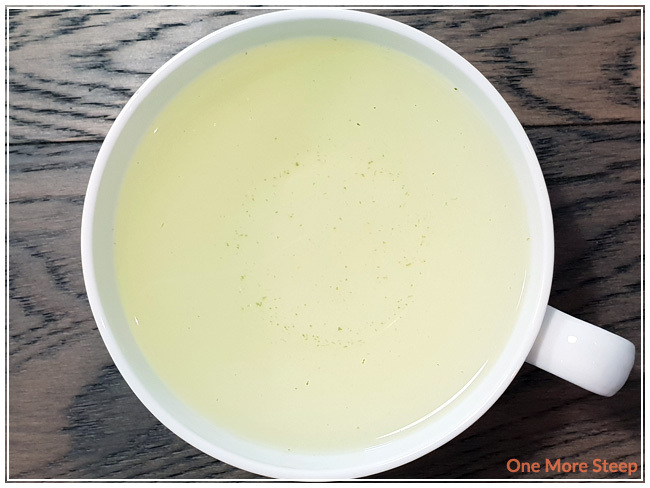 I felt like it was a very nice savoury green tea, it was light with some good umami notes. I think it would pair well with savoury foods, or even play nicely with something sweet to help balance each other out. Fukamushicha From Narama resteeped well, which definitely made for a nice tea steeping session.